East / West coast: July 1 -- Started joint position UCLA / Parsons Visiting Professor and Director of Research at Parsons the New School of Design's ART, MEDIA + TECHNOLOGY program. Blue Morph and Zerowave receive award for best art work at the Shanghai International Science and Art exhibition. May, 2008. Check for the latest activities at UCLA Art | Science Center, UC DARnet and the Department of Design | Media Arts. SIGGRAPH 09, New Orleans. 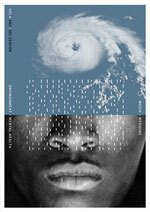 "Katrina Project", Information Aesthetics. NEW YEAR 2010: BLUE MORPH at the Integratron! "20XX. EDU: Grand Challenges in Education"
Two of my students from UCLA will join a large group of students from over 20 art academies and universities around the world to celebrate the tenth year of Real Presence. I will join at the end to see the final exhibition. Workshop with students from newly established Art Sci program. Visit MINATEC: IDEA day and view exhibition of their Artist residency program. Pompidue-Metz Centre: Lecture “Sound of Thought: Metamorphosis of the Human Animal”, at the “Le pire n’est jamais certain, la création plastique à l’épreuve des risques majeurs” (The Worst is Never Certain, Visual Arts and Creativity Facing Major Risks) conference. Microwave International New Media Arts Festival, Hong Kong. Conference: Eco_Visualization: Combining Art and Technology to reduce energy consumption. Keynote lecture: "Sound Thinking in Art Making: Ghosts, Quantum Tunnel & Butterflies"